Join us for our Edmonton Meet and Greet! Allan R. Nelson Engineering > Blog > Events > Join us for our Edmonton Meet and Greet! We are pleased to announce our Edmonton Meet and Greet! 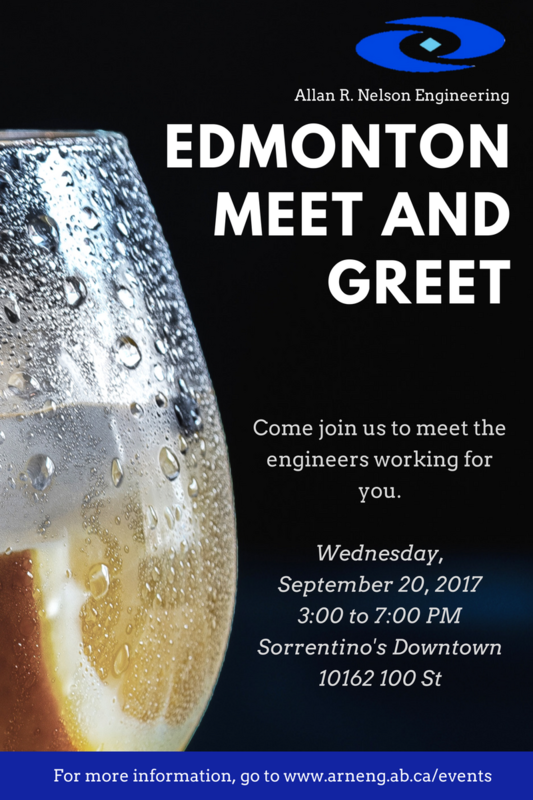 We hope you will come join us on Wednesday, the 20th of September, at Downtown Sorrentino’s, to meet the engineers that work for you! You can RSVP on our events page (not necessary but appreciated! ).